groups in communities across the nation and around the world. A networking and mentoring site for women business owners. A networking site dedicated to promoting women business owners around the world. 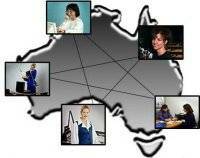 A networking site to support Australian women in business and connect executive and professional women worldwide.